0	0	Big Red Tractor & the Littlevillage	In Stock - Order before 2pm for same day dispatchWant it on Wednesday 24 April? The villagers loved the big, red tractor. It helped them grow enough food to get them through the year. But it was hard to use, and it didn't work very well. Even with everyone helping to push and pull the tractor, they couldn't get much done. Everyone believed that was just how things were. That is, until Farmer Dave discovered a long-lost book in a dusty attic. Could it really change everything? Farmer Dave thinks so. But the other villagers aren't so sure. The Big Red Tractor and His Little Village is a contemporary parable sharing a timeless truth: God has a special purpose for you and you can fulfill it through the help of his Spirit. It's a powerful lesson perfectly told for little hearts. 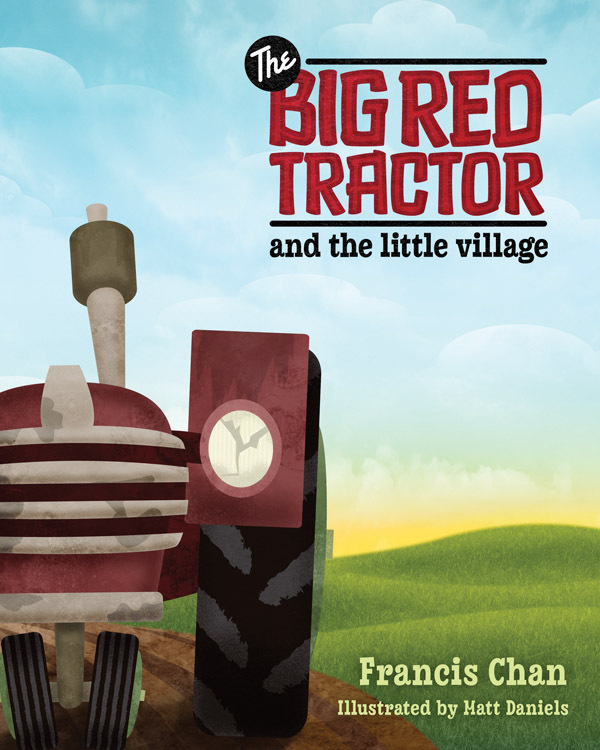 Big Red Tractor & the Littlevillage by Francis Chan was published by David C Cook in September 2010 and is our 14749th best seller. The ISBN for Big Red Tractor & the Littlevillage is 9780781404198. This is a bright colourful book and the story simple enough to use with preschoolers as well as the key stage 1&2 s. The younger group really loved the pictures and the tractor whilst the older group immediately made the connection with the instruction book and the bible which is the whole point of this story. Got a question? No problem! Just click here to ask us about Big Red Tractor & the Littlevillage.